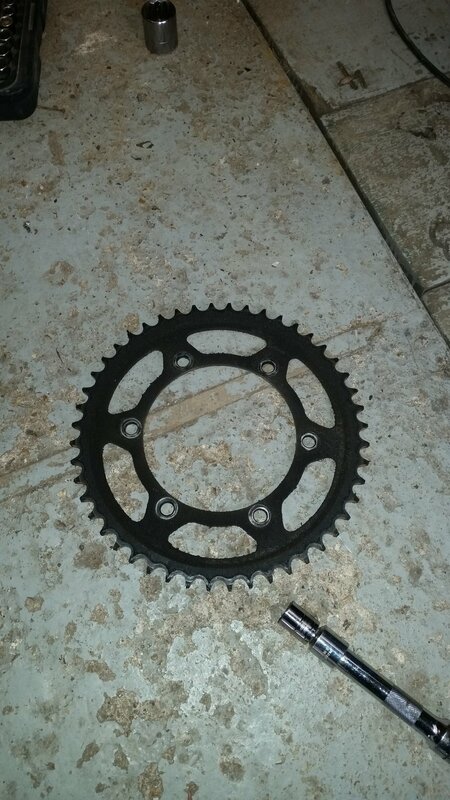 The sprocket was taken off of a motorcycle as it was worn and needed replacing. Rather than throw it away, I chopped it into quarters and then welded it on to some right-angle brackets that I'd made from a piece of steel bar. Holes were drilled so that the brackets could be screwed to the wall.